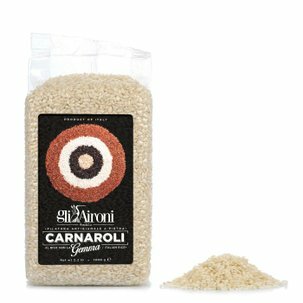 The Truffle Risotto from Gli Aironi combines the delicateness of the best carnaroli rice with the unmistakable touch of flavour from the exquisite truffle. Furthermore, it is not precooked, but only moistened with vegetable broth. Then, it is freeze-dried and then flavoured with the best truffles...and is then ready in only a few minutes! Finally, thanks to the careful selection by Eataly, it is possible to enjoy a high quality meal whenever you want! 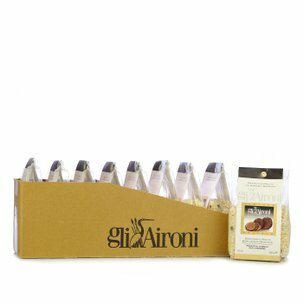 If you are passionate about the Truffle Risotto from Gli Aironi don't miss the pack available from Dispensa di Eataly! 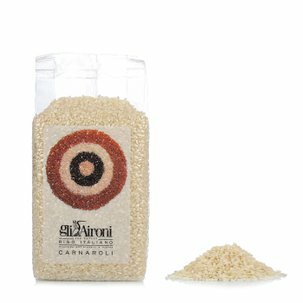 Ingredients Carnaroli rice (90%), *Vegetable stock mix, *Truffle extract (2%), *Onion, *Garlic, Flavouring (*dehydrated products). For more information on product labels, please contact our Customer Service department. The information on the labels of the products may vary for reasons beyond our control, therefore, there may be discrepancies between the information on the site and that on the products delivered. Please always check the information on the product before consumption or use.